There are cars and then there are cars you love so much you name a platinum selling heavy metal album after them. At least that's what Glenn Tipton did with his 930 Turbo as a member of Judas Priest. In 1985, Tipton - the lead guitarist and songwriter of heavy metal band Judas Priest, ordered a new 911 Turbo for himself. Learning of the new SE derivative from his local dealer he ordered his Porsche in the one-off color of Chiffon White and arranged to take delivery of the 911 from the factory while the band was on tour in Europe. Like any of us would be, he was enormously excited by his new toy and the Turbo continued to impress as the months went by, so much, in fact, that he was inspired to write a platinum-selling album. Originally intended to be released as a double album titled 'Twin Turbo', the band changed their minds and split up the material. The resulting single album was 'Turbo' - which just happened to contain the successful single, also inspired by the Porsche, 'Turbo Lover'. The Porsche became Tipton's pride and joy and he has owned and maintained it with great care ever since, keeping the mileage down to just 14,100 today. 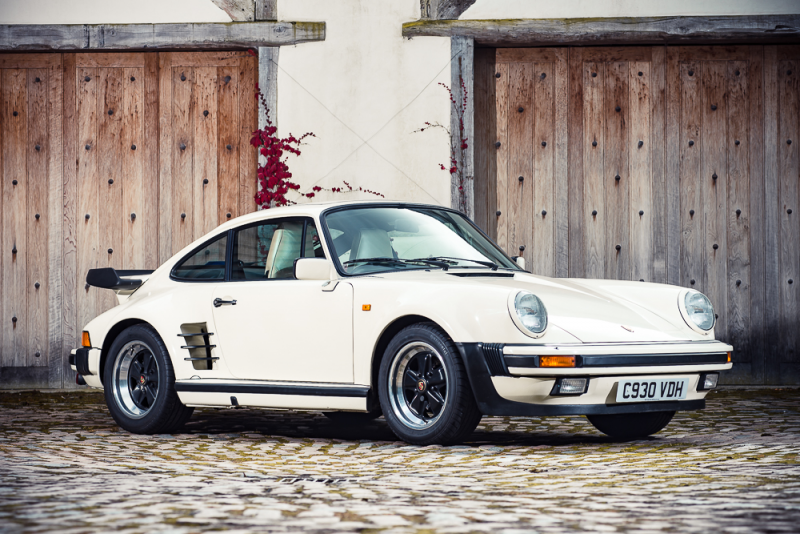 Tipton's Porsche 930 Turbo is now offered for sale by Silverstone Auctions with a pre-auction estimate of £180,000 - 220,000. Brilliant car, and brilliant song! Never knew this car was the inspiration behind all this – but I’m also not surprised either.